CEO, The Retail Solution. The author of “The Ultimate Retail Sales Experience”. 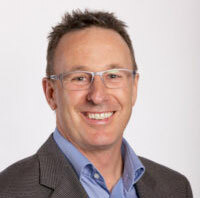 With over 35 years’ industry experience, Roger Simpson is recognized as Australia’s #1 Authority on customer ROI in the retail industry and as a global expert on staff coaching, customer service and selling skills. Roger’s expertise is maximizing sales and service levels through lifting the performance of people. Over many years, Roger has increased business profits specifically by motivating and guiding owners and staff in their interaction with each other and with customers. His company has delivered training and coaching programs to retail clients in nearly 30 countries around the world, with most experiencing sales increases well in excess of 100%. Roger is called on frequently by Customer Service Managers and CEO’s of retail organisations to analyse, design and implement profitable customer service projects. Roger is passionate about creating great customer service and a triple win for retailers, staff and customers. Nyree has worked in retail virtually all of her working life. Having started her retail management career working with McDonald’s, she moved on to work with other great retailers such as Freedom and Civic Video in various roles. In her 12 years at Civic Video, Nyree’s roles included Training Manager, Franchise Business Manager, State Manager and National Operations Manager. 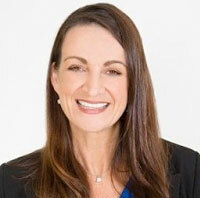 Nyree is a brilliant and dynamic facilitator with a passion for getting the best out of people. As well as having a great skill in facilitation, she is an expert at on job coaching where her ability to coach the coach provides great transfer of skills to clients. She also exceeds at program design, having developed a number of customer service and other retail management training packages for clients. Nyree is an outstanding business coach and mentor using her coaching and facilitation skills to assist business managers and owners to reach and achieve their business and life goals. Sarah has worked in a number of customer service roles as well as spending time as a Training manager for a large department store. She has also spent many years as a trainer and coach and facilitated many training courses in Australia/NZ as well as overseas. Sarah has an absolute passion for getting the best out of people and is an outstanding facilitator. 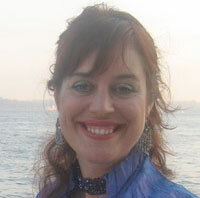 She is also an expert in coaching the coach, having spent a lot of time in store following up with many retail clients. Over the past few years, Sarah has been facilitating training courses focussing on wellbeing and holds a Diploma in Holistic Therapy. She is focussed on helping people to be the best that they can be. John’s background is in the Pharmacy profession where he has owned and managed stores for over 37 years. John has bought and successfully built up a number of pharmacies however his passion lies with training and development of people. 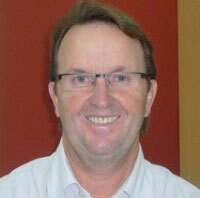 John was initially involved in Pharmacies in Perth before moving to Margaret River in 1996. As a partner in Chemmart Margaret River John was able to initiate cultural change and develop a successful team that was based on customer focus. The results were growth in the business, customer satisfaction, and individual team member development. One reflection of the success of the changes was the honour of the award as Chemmart Pharmacy of the Year 3 years running, 2003-2005. For the last 3 years, John has been facilitating training sessions in service, sales, leadership as well as change management. During this time, as well as working in the pharmacy industry, John has facilitated training sessions in other retailer fields such as petroleum, healthcare, bedding, hardware to name a few. John’s practical approach and vast retail industry knowledge provide his clients with real skills that increase sales, service levels and improved leadership skills.